Suitsupply as you all may already know is one of my favorite stores. This place is a haven for menswear and I always find myself completely lost in their product catalog. 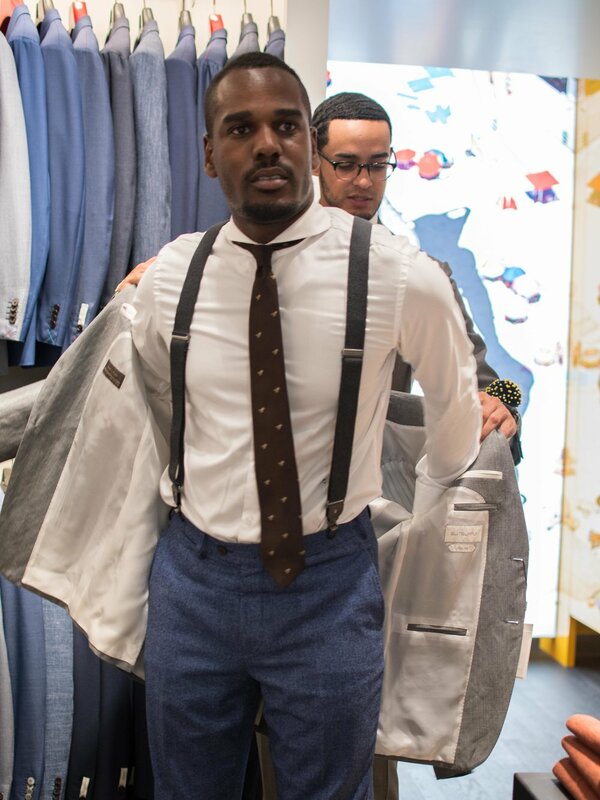 Walk into the Suitsupply Tampa store and you’re immediately greeted with an overload of impeccable menswear steez. 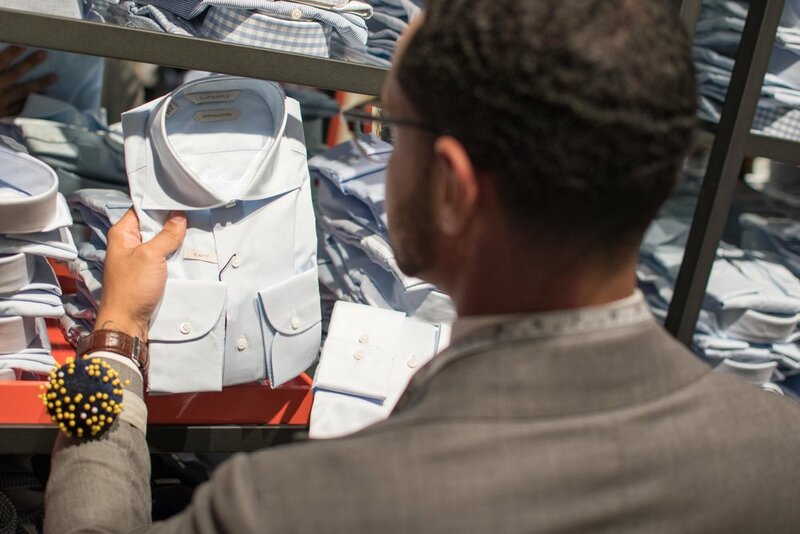 From casual gear to formal eveningwear there’s literally an onslaught of options to choose from. 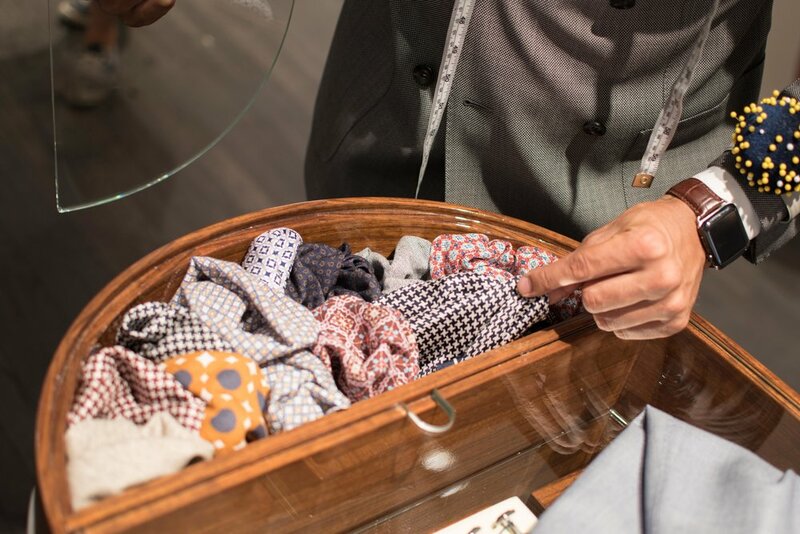 The tricky thing about navigating Suitsupply is that literally everything is something that you need in your closet. Staying focused is extremely difficult. Fortunately, there are knowledgeable stylists like Chayanne Muñoz. Chayanne is a good friend of mine, a familiar face around Greg’s Style Guide (you may have seen him at one of the past The Dapper Hour social events), and he is pretty much men’s style goals. Don't just take my word for it, check out his Instagram. 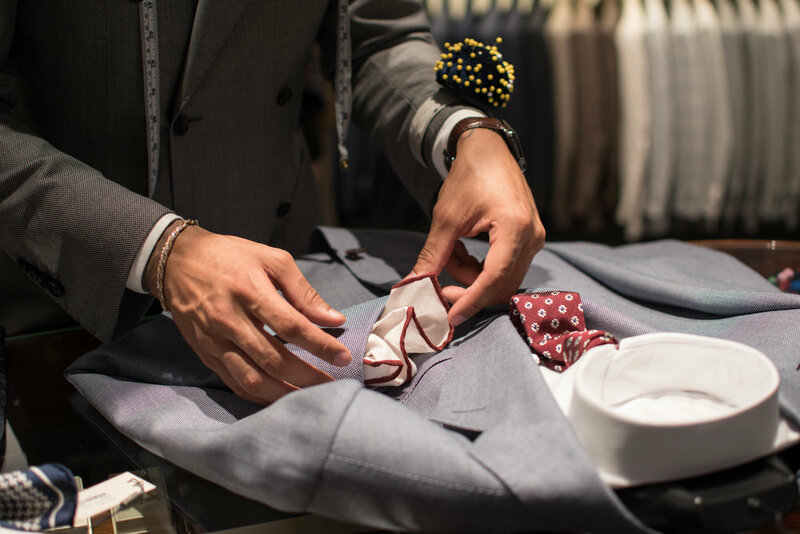 Now as a Suitsupply stylist, he is there to hone in all of the various options to something more specific and tailored, no pun intended, to your needs. First things first, the suit. We put our attention towards finding something appropriate for the summer. Something with a breathable fabric, light in color. A suit that will be versatile during these warmer months. In the store, the suits are organized by size, so given my lengthy limbs we went straight to the Short & Long section of suits. While there, Chayanne and I discussed the specific nuances to suit jacket fit. 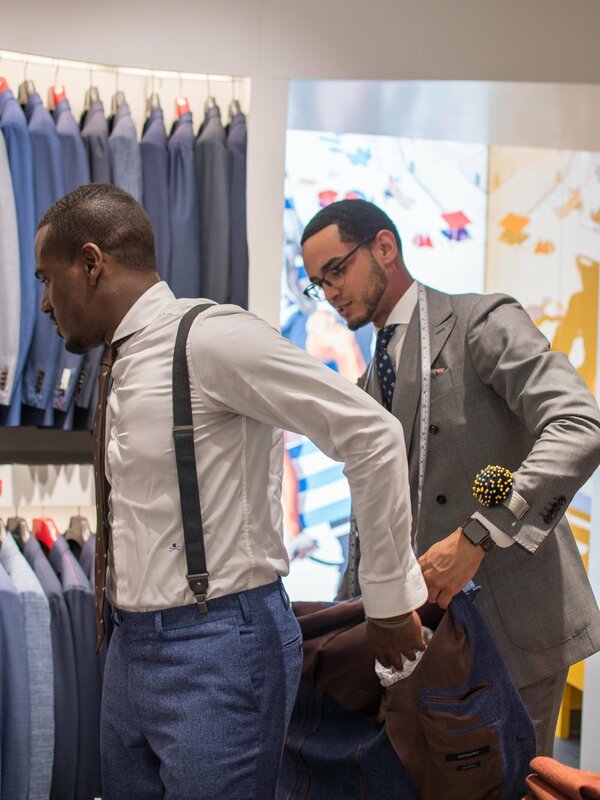 Details such as shoulder fit and the appropriate amount of cuff are important to nailing that perfect fitting suit. When it comes to suit fit, many fit areas are adjustable by a tailor, but the shoulder/chest area is where there is little room for forgiveness. Always select a correctly fitting shoulder/chest when looking for your next suit jacket or blazer. After trying on a few jackets, we finally went with something light grey and notched lapeled. 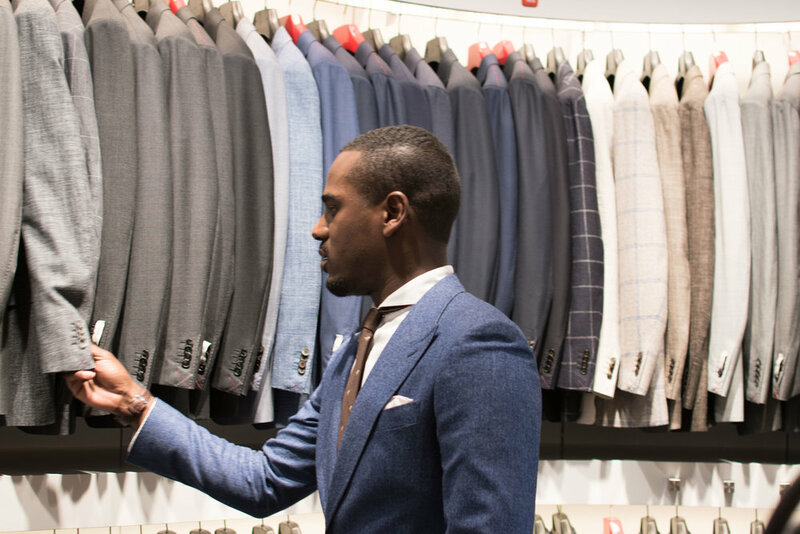 Suitsupply has 13 different cuts of suits. They vary in fit, ranging from regular fit to an extra slim fit so there’s definitely something there to fit most gents. 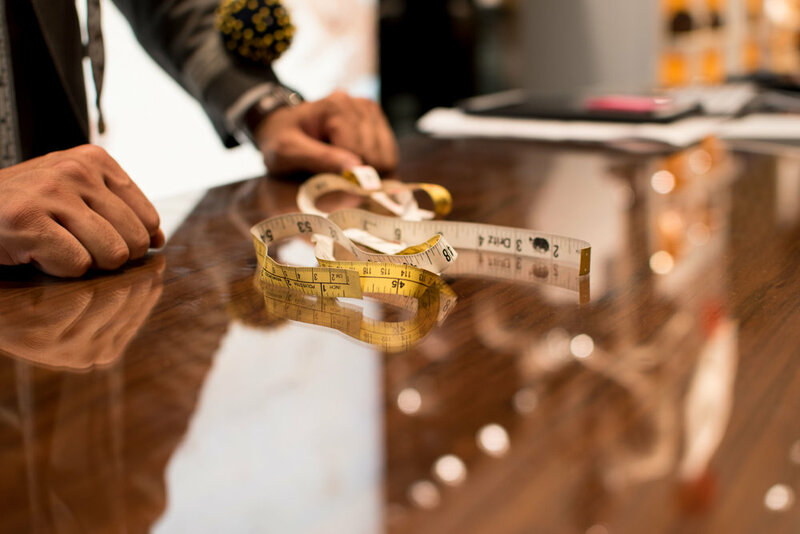 Suitsupply offers a more bespoke experience with their made-to-measure program where you can dial in an even more precise fit. Now that we’ve selected a jacket, I try it on and noticed that there was a bit too much room in the waist area. Chayanne then pinned the jacket so that it can then move on to be altered by a tailor. 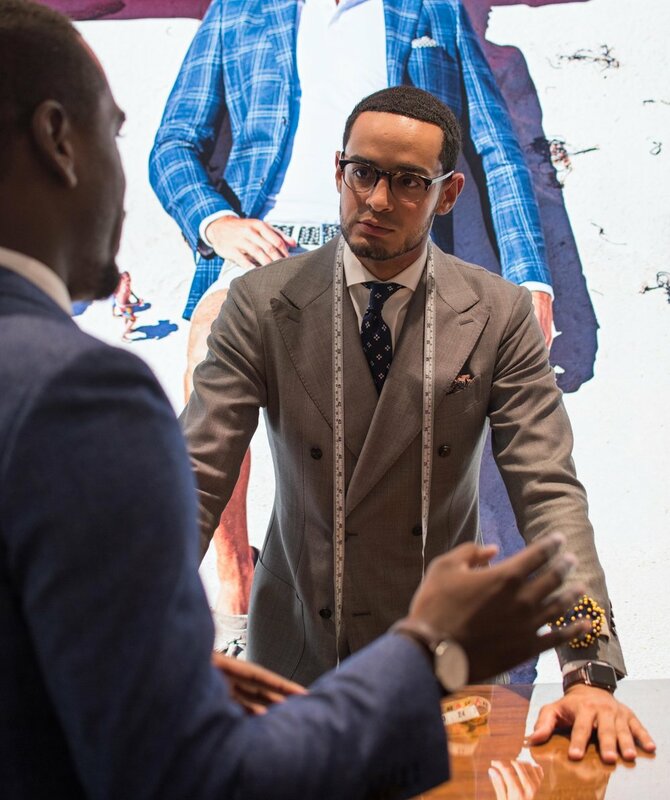 Suitsupply has a tailor in their stores that will handle any necessary alterations usually in the same day. We got the suit, pinned the fit, now it’s on to Chayanne to do his thing as a stylist and complete this summer suit. Aside from their suits and blazers, one of the things I enjoy the most about Suitsupply is their broad offering. They have a pretty extensive collection of ties, squares, and shirts for Chayanne to choose from. In some Jedi-like trance, he carefully surveyed his options before striking. He toured the room and only picked accoutrements that satisfied his critical taste. After comparing a few options, he ultimately settled on a white pocket square with red border and red spotted tie. He nailed the look which I would describe as a traditional summer suit with a pop of summer sprezzatura. This is definitely one that has range and can go straight from the office to a speakeasy downtown. 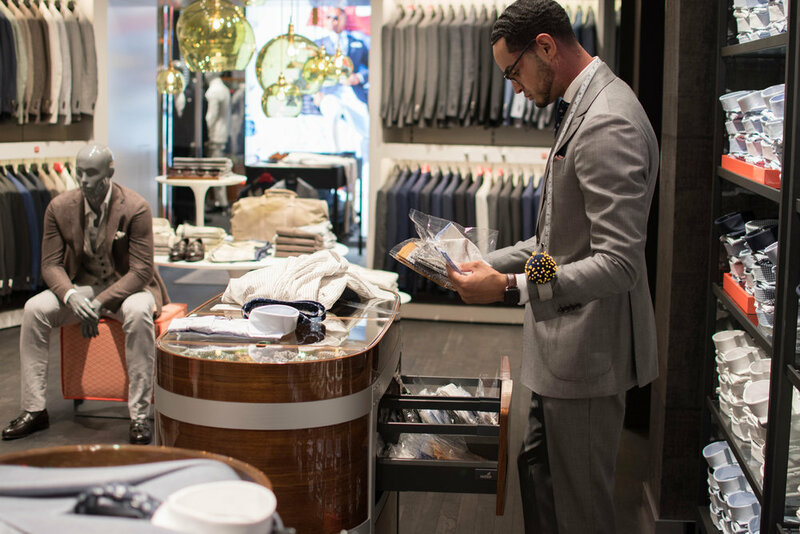 The Suitsupply shopping experience is an all-encompassing one. One that pairs exceptional garments with seasoned, knowledgeable, and professional stylists like Chayanne. The Suitsupply stylist experience brings your personal style and sartorial preferences together with input from a menswear expert. 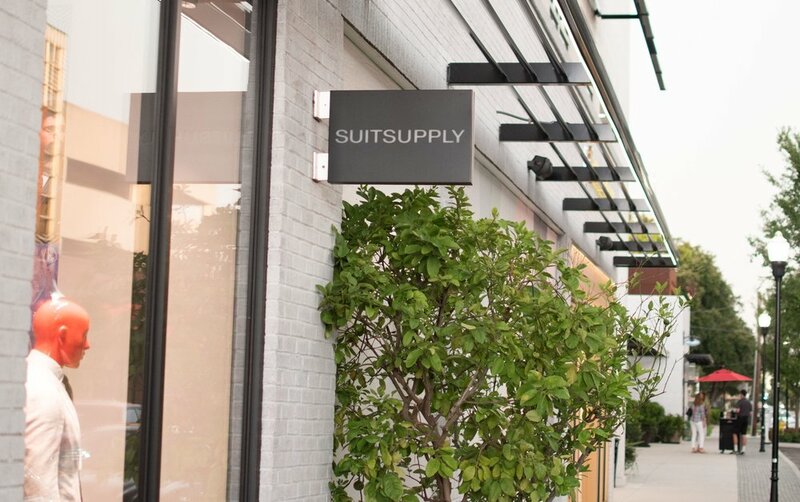 When it comes to suits, I highly recommend Suitsupply as a reliable source for business and casual suiting. 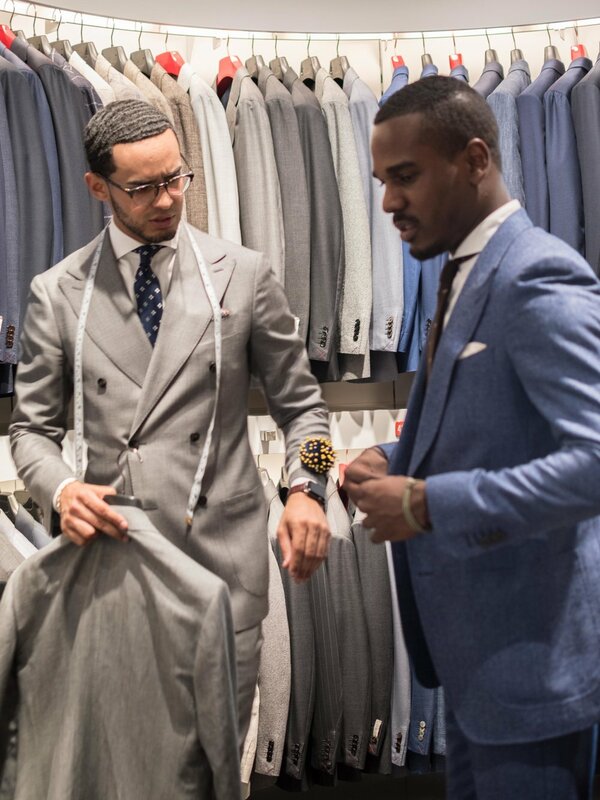 The time has come for you to throw in a dope suit into your rotation, go with something with a generous lapel and fit, the time has come for you to get a suit from Suitsupply. Free Giveaways, New Content, and Exclusive Events!